If you're looking to buy some new EZGO golf cart parts you are in the right place! We have EZGO parts for sale for all EZGO model types and years. EZGO golf carts are known for their quality design and reliability since all the way back in the 1950s - and are the golf cart brand of choice for many of the most prestigious golf courses in the world! While EZ-GO golf cars are great for the golf course, they can be used and enjoyed for all sorts of other driving activities, recreation and light transportation. These golf carts can handle many terrain types, and can be modified and customized to become even more capable than they are from the factory! EZGO vehicles are designed and manufactured by Textron, an award winning manufacturer repsonsible for the performance specialty vehicle brands: Arctic Cat, Jacobsen, Cushman and Textron GSE - all of which are leaders in the respective industries they serve. The Golf Cart Tire Supply has all the EZ-GO aftermarket parts you need for your EZGO golf cart (whether gas or electric). We are here to help you enhance your golf cart's look, driveability, reliability, safety, and more! Find replacement EZGO golf cart parts or upgrade your EZGO golf cart today, and find custom golf cart parts to make your cart stand out! Whether it's EZGO Marathon, EZGO TXT, EZGO Medalist or EZGO RXV golf cart model - we have got you covered with the golf cart parts you need! Smooth and fresh EZGO Golf Cart Tires are essential for the safe operation of your golf cart. Custom EZGO Golf Cart Wheels can make your cart stand out! Fresh EZGO Batteries will keep your cart running in top shape, and provide the power you need to get around the neighborhood, the golf course, or the hunting trails. You want to have an industry connection you can trust when it comes to buying E-Z-GO golf cart parts and other items for your golf cart. Whether it is replacements parts or the latest EZ-GO Golf Cart Accessories to give your golf cart a totally custom look, the Golf Cart Tire Supply is the number one source online for your EZ-GO golf cart parts and accessories. Leading with service, an addiction to quality, and consistently providing our customers with love and honesty is the the way we operate at the Golf Cart Tire Supply. We started in this industry by offering golf cart tires and wheels - and we took care of thousands of customers doing it. Those same customers demanded that we offer golf cart parts and golf cart accessories, and so we put in thousands of hours meeting with manufacturers and bringing you only the best parts at the best prices! Trusted by tens of thousands of happy golf cart owners, we sell only the highest quality EZGO parts and EZ-GO Golf Cart Accessories out there. Our customers always tell us how easy it is to navigate our website, and we have gone ahead and made it easy-as-pie to navigate our EZGO golf cart parts and EZGO golf accessories by category as well (so you don't get lost trying to find the golf cart part you need)! Shopping with us, you can trust you will have the widest selection of items to choose from and that you will get the best price (we always price match). So fear not when picking any one of the thousands of items we stock for your golf cart! Now that we have had the chance to get to know each other, you can feel comfortable knowing you have come to the right place to shop! 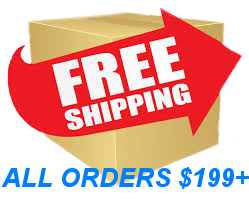 We ship nationwide, don't charge sales tax (unless your state mandates it) and most orders ship for FREE! Have questions about your golf cart? About fitment? About a certain part or accessory? Great! We are always happy to help you find the best golf cart parts and accessories, and to answer anything you want to know about your EZGO golf cart. Just call 1-844-422-7884 or send an email to info@golfcarttiresupply.com to get the answers you need about your EZGO golf cart parts and EZ-GO golf cart accessories!